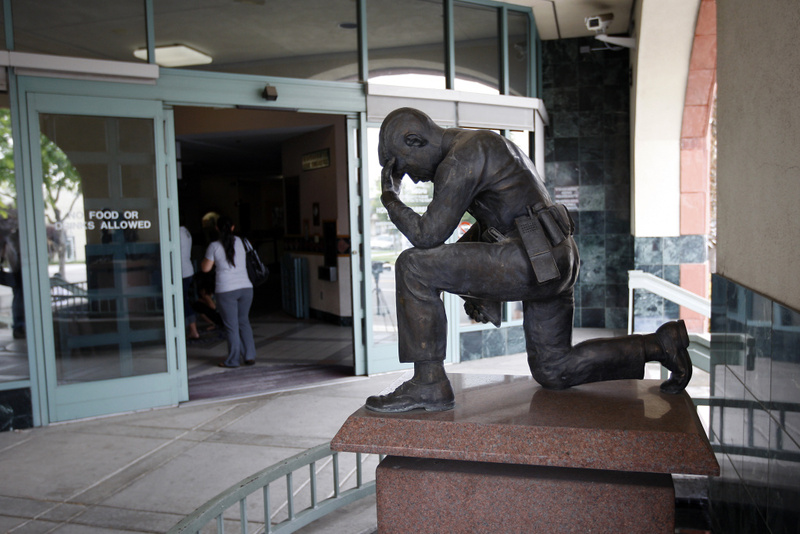 A memorial to fallen police officers stands at the entrance to the City of San Bernardino Police Department on July 12, 2012 in San Bernardino, California. The off-duty San Bernardino police officer who died in a motorcycle crash Thursday morning has been identified. 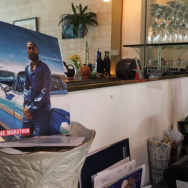 The San Bernardino Police Department said in a Thursday news conference that the victim of the crash was 30-year-old Shaun Jarvis, a father of three who spent eight years with the San Bernardino Police Department. An off-duty San Bernardino police officer on a motorcycle died at the scene after he was struck by two cars on the 91 freeway Thursday morning, California Highway Patrol's Los Angeles Division confirmed to KPCC. CHP spokesman Travis Monks from the CHP Inland Division in Riverside said that around 9 a.m. the motorcyclist was traveling in the HOV lane on the westbound 91 freeway west of main when a vehicle from the number 1 lane merged into the HOV lane and struck the rider. The rider became ejected and was thrown into the eastbound lanes where he collided with a vehicle traveling in the eastbound 91 freeway’s HOV lane. The rider succumbed to his injuries and was pronounced dead on scene, said Monks. CHP is still investigating who was at fault in the collision and are stopping traffic at times to conduct their investigation.